Yesterday JD was officially admitted to the New York State Bar. I am so proud of him. Though it may sound cliché, he is the best person I know. He is so kind, generous, dedicated, hardworking, I could go on and on. The ceremony was held in the gorgeous Appellate Division, First Department. I couldn't get over the ornate ceilings and chandeliers (you may have seen this snap of the lobby ceiling on instagram). Of course, I was not permitted to take photographs inside the court room, but the stained glass dome was breathtaking. JD and I were under the impression that proper court attire was required for both the new lawyers and their guests, meaning a jacket and closed toed shoes. Apparently this was not the case, or people just ignored the little note at the bottom of the ticket. 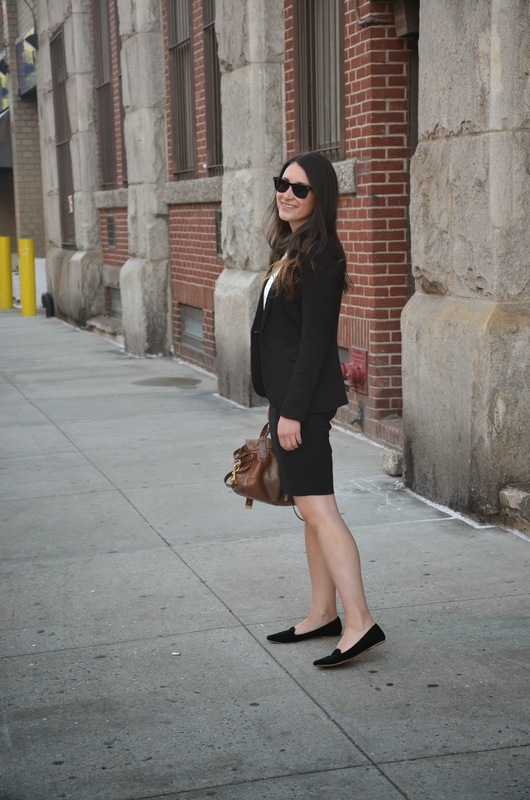 I'm the kind of girl that would rather be over dressed than under dressed, so I played it safe in a black and white Erin Fetherston dress, blazer, my favorite Joie flats, and my Alexa. JD joked on our walk to the subway that I looked like I could be going to work with him. Though I'm not exactly sure how "court appropriate" this outfit would be, I did fit right in with the crowd. You look so cute! I love this top! I totally agree on being over dressed rather than under!! Congrats to him on admission to the bar! I agree, it is definitely always best to be overdressed!! Lovely look, and congrats to him! Congratulations! I always defend that it's quite better to be overdressed than the opposite! 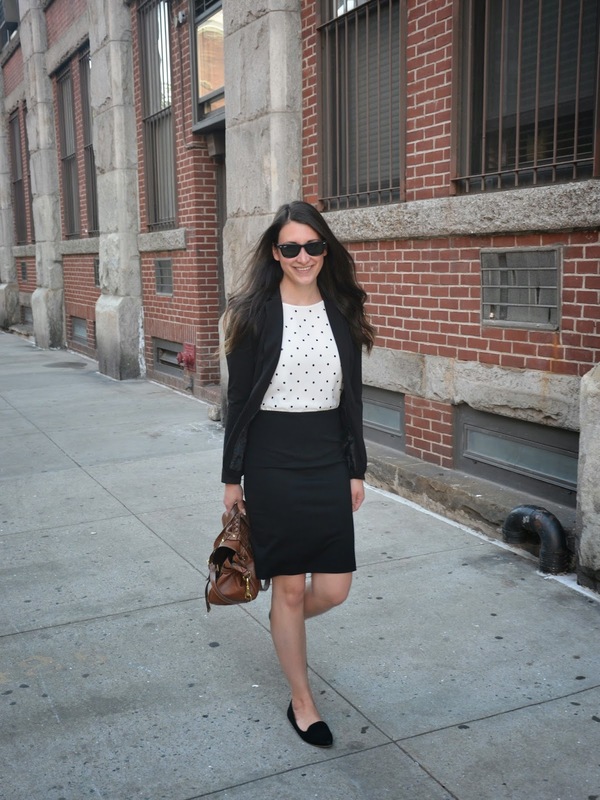 Such a cute professional look! Love that top! Love the top! I agree over dressed is better than being under dressed! you look darling and so professional, i would definitely take you seriously in that outfit! so exciting for JD, what a major accomplishment!! You look just lovely! I love your take on court room fashion. 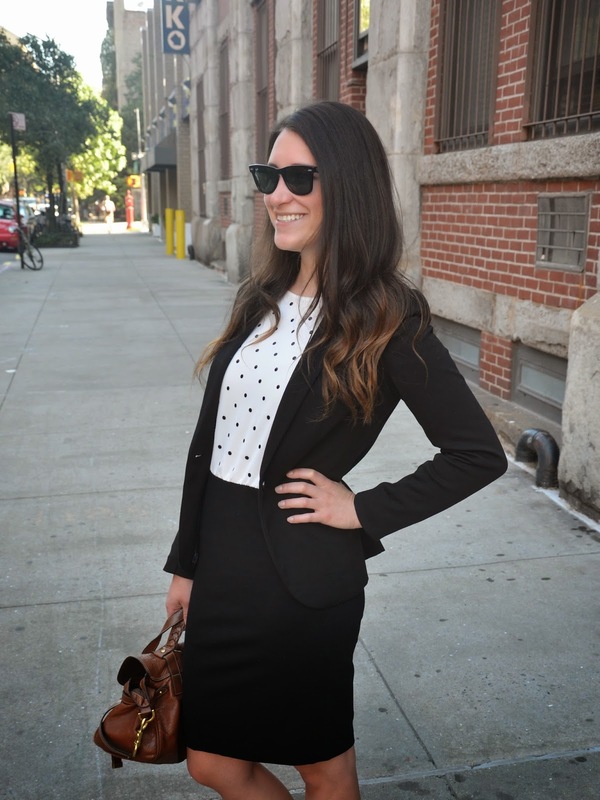 So professional and yet those polka dots lend such personality to the look! 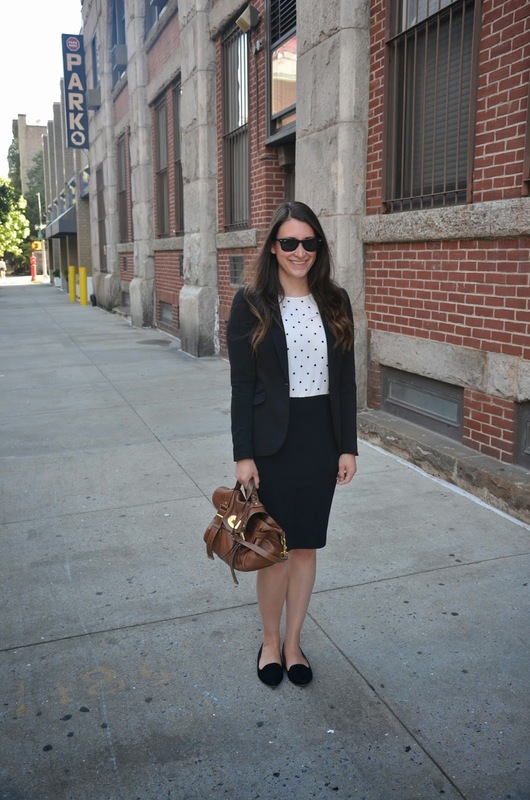 Perfect dress for corporate wear. I simply love Erin Fetherston collection. It is amazing.